The smart mirror is getting smarter. Voice recognition is being added to intelligent augmented reality to create a new version of the magic mirror. The voice capability is being added to the smart mirrors already in place at companies like Sephora, L’Oréal and Coty as well as in their mobile apps. 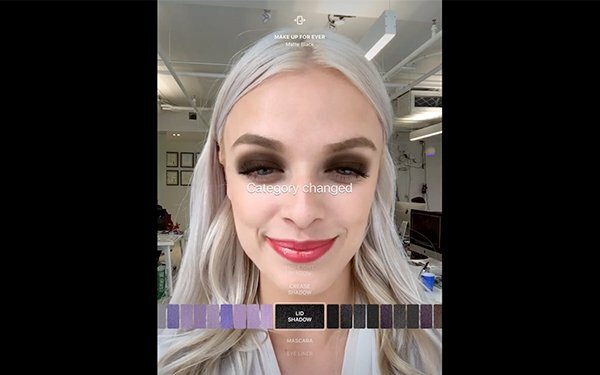 The mirrors use intelligent augmented reality technology from ModiFace, which powers more than 200 custom AR apps for beauty brands, including Unilever and Allergan. Now voice recognition is being added, so a consumer could give a verbal command, such as ‘Let’s try red lipstick and a purple eye shadow’ and presto, the mirror shows exactly what the person would look like with the lipstick and eye shadow added. It works the same way with the app, with the ‘mirror’ being provided via the phone’s camera. The voice-enabled AI being used is from SoundHound, the voice company that started with music app SoundHound, which identifies music being played, like Shazam. Last year, the company introduced Hound, a search-driven voice app, as I wrote about here at the time (Music Recognition App Moves To Be Consumer Translator For Internet Of Things). The advantage of SoundHound’s technology is that it’s speech-to-text recognition and the process of translating the text to meaning work simultaneously, unlike other voice search engines that do one of those things at a time. As a result, the Hound voice app is lightning fast. I’ve regularly used Hound since it came out last year and it beats any of the other voice recognition apps I’ve tried, both in accuracy and speed. The new mirror technology allows a customer to speak the types of colors or products they would like on their face and the mirror listens and implements the request, which can be seen in a video from the company. In this sleek integration of vice-enabled AI and augmented reality, it doesn’t take a whole lot of directions to figure out how it works. The consumer speaks; the technology does all the rest. Voice recognition, in all its forms, will be discussed at the MediaPost IoT Marketing Forum May 18 in New York. Here’s the agenda.